A will contest or will challenge can be brought by any interested party, according to FindLaw. An interested party is any person or business who has something to gain or lose if the will is proven to be invalid. Although most interested parties are family members who do not feel they were treated fairly in the will, a will contest may also be brought by a deceased person's creditors. A will contest begins when an interested party files a petition to challenge the will in the probate court, according to FindLaw. The party who files the petition has the burden of proving that the will is invalid. The estate's executor or personal representative is usually responsible for defending the will's validity in court. The executor may hire an attorney on behalf of the estate to defend the validity of the will. 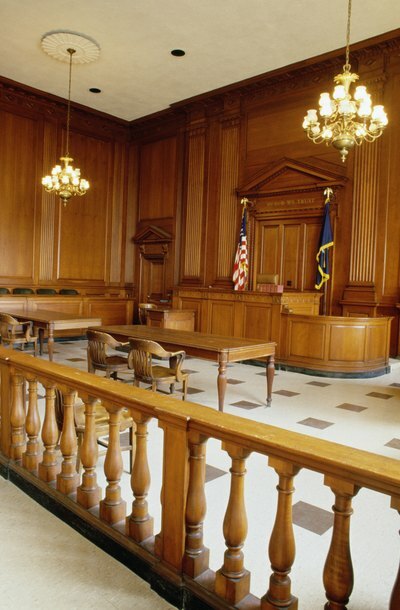 Will contests are typically heard by the probate court judge, though they may also be heard by a jury in some states, according to FindLaw. The grounds for contesting a will fall into three basic categories: The first category includes challenges based on the mental or legal incapacity of the testator to have made a will. A testator may be incapable of making a will if he is under the age of 18 or does not have the mental capacity to understand that his will gives his property away to the people named in it. The second category includes challenges based on the will itself. For instance, a will that is not witnessed properly according to the state's laws for wills may be held to be invalid. Finally, a will challenge may be made on the basis of misbehavior by someone other than the testator. For instance, if someone forced or coerced the testator into adding or removing certain people from his will, or someone forged the will, the probate court may find it invalid. Before bringing a will contest, you should consult an attorney about the laws for will contests in your state, your reasons for wanting to contest a will and the contents of the will itself. Will contests can be difficult to win, according to FindLaw. Probate courts typically assume that wills that meet the state's legal requirements as wills are valid. Also, you must base your will challenge on a specific reason as to why you think the will is invalid. Merely filing a will contest because you don't like your share of the estate, without reason to believe the will itself is invalid, usually results in the case being dismissed by the probate court. Finally, some wills contain "no-contest" clauses, which state that a beneficiary who brings a will contest and loses will forfeit his share of the estate. For these reasons, it is wise to proceed carefully when deciding whether or not to challenge a will. ABA Family Legal Guide: What Does It Mean When a Will is Contested? Creighton Law Review: Avoiding a Will Contest - The Impossible Dream?